Perfect for your child's bedroom, this elegantly designed sleigh bed fits easily into any decor. 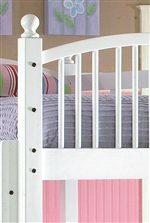 Headboard and footboard feature a rolled top, while a slat design opens up the look and feel of the frame. A piece to grow with your child, enjoy the crisp, clean look of a bright white finish and a simplistic design. This bed is available in twin and full sizes. The Bayfront Full Sleigh Bed by New Classic at Michael's Furniture Warehouse in the San Fernando & Los Angeles area. Product availability may vary. Contact us for the most current availability on this product. 1415-421 4/6 Sleigh Footboard 1 43" 3" 27"
1415-411 4/6 Sleigh Headboard 1 60" 3" 46"
Finish Solid Birch and Birch Veneers with White Painted Finish. Finish & Paint Options White Painted Finish. Case Detail Thick Mouldings On Case Bottoms. Bed Construction Bed and Rails are Constructed from Painted Birch Solids and Veneers. Description: Top Painted Birch Solid Tops. Case Construction Cases Constructed from Painted Birch Solids and Veneers. The perfect collection for your young child or preteen, the Bayfront youth collection provides stylish and durable pieces to grow with your child; and their changing tastes! Featuring fun and safe bunk beds for your smaller children to enjoy to full size beds for your teen, the Bayfront collection provides something for every age, along with coordinating storage pieces that are elegant enough for an adult room! Large drawers provide ample room for everything from toys to clothes, while slat and panel details on beds add a handcrafted look to the collection. Finished in a clean, crisp white finish, the Bayfront collection brightens any decor. Bring the Bayfront collection into your home today for quality pieces that both you and your child can enjoy! The Bayfront collection is a great option if you are looking for Cottage furniture in the San Fernando & Los Angeles area. Guard Rails and a Secure Ladder Ensure Your Child's Safety. A Beveled Edge and Slightly Arched Top Gives this Mirror a Unique Look. 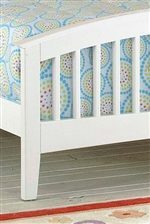 Your Child Will Enjoy the Sophisticated Look of this Slat Bed. 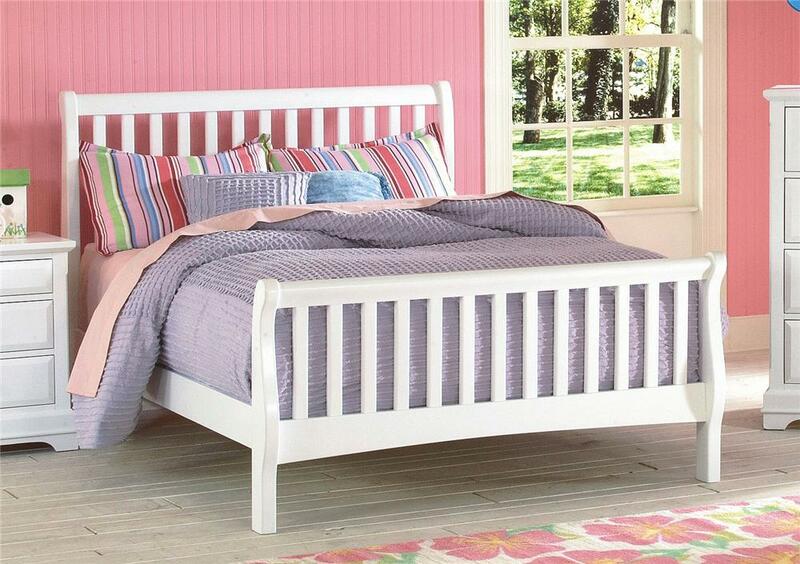 Featuring Softly Rolled Tops and Open Slats, Enjoy the Open Look and Feel of this Sleigh Bed. 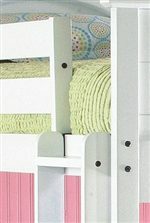 Delicate Spindle Accents Give this Bunk Bed a Sophisticated Look. White and Black Hardware Knob. Browse other items in the Bayfront collection from Michael's Furniture Warehouse in the San Fernando & Los Angeles area.